We have Won Countless Cases with a Proven Track Record of Success Defending Clients Throughout San Diego and Southern California. 26 years of Experience in both State and Federal Court focusing on Criminal Cases in San Diego. Individual attention to your case, not a mill, will have attorneys personal contact information. Dedicated team of paralegals, assistants, and private investigator. Years of building relationships with the judges, city attorneys, and district attorneys. Affordable and competitive flat fees. Payment plans on approved cases. Free consultation and case evaluation before we accept each case to make sure we can help. Extensive background in immigration, family law and civil law which often ties into criminal cases. Treating each client like our only client, with an emphasis on compassion and understanding to meet each clients individual goals in their case. Award-winning criminal defense Top 10 Client Satisfaction Award by the American Association of Criminal Law Attorneys. Here at SDCA, we understand the tremendous stress, confusion, and helplessness our clients feel. Indeed, facing criminal charges can be one of the most terrifying and unnerving experiences in your life. That is why we offer a free of charge, in-person consultation, 7 days a week. We will take the time to meet our clients, answer any questions, and make sure that your questions are answered. We do all of this BEFORE you hire us, because we are confident that our dedication will win you over. We at SDCA understand the value of communication. That is why we are happy to talk to you, your family, your significant other, and/or other loved ones. Our goal is to help you handle all aspects of the legal work, so you can focus on living your life. We will answer any and all questions, as well as address any concerns you may have. This way, clients feel truly comfortable and confident. Choosing the right attorney to represent must take care and careful research because this is the person who will be representing your future in the courtroom. Do not be afraid to ask the tough questions. Ask the attorney how many cases he or she has done. Ask the attorney how many years of experience they have, and how many years of experience have been dedicated to their particular area of law. Ask them how many jury trials they have. Ask them how long they’ve been practicing in San Diego. Ask the attorney what their AVVO rating is. Study the reviews online and read what other clients have to say about their services and experiences with their law firm. Will they take the time to actually learn about who you are as a person and the details surrounding your case or do they just want to talk to you over the phone. Review them through the State Bar Website to view any disciplinary actions. These questions are often times never asked during the consultation.. It is important to understand that the only area of law that San Diego Criminal Attorney practices is criminal defense. We do not handle civil cases, bankruptcies, or personal injury we focus only on criminal defense. Hiring an attorney for your case is the first step, however hiring the right attorney is the final step. Also, it goes without saying that you are not hiring just an attorney. We are a law firm. We utilize the resources of our associate of counsel attorneys, legal assistant, and the best private investigator in the state of California. Together as a team we will put all the firm’s resources together in accomplishing the absolute best result possible for each client. WE ARE CLIENT TRUSTED AND TRIAL TESTED. Navigating the vast sea that is the criminal justice system can be overwhelming. At the San Diego Criminal Attorney our highly trained staff of attorneys and administrators will go through what’s called the initial consultation stage. This is your opportunity to sit down and have us thoroughly evaluate your case and to ask questions. 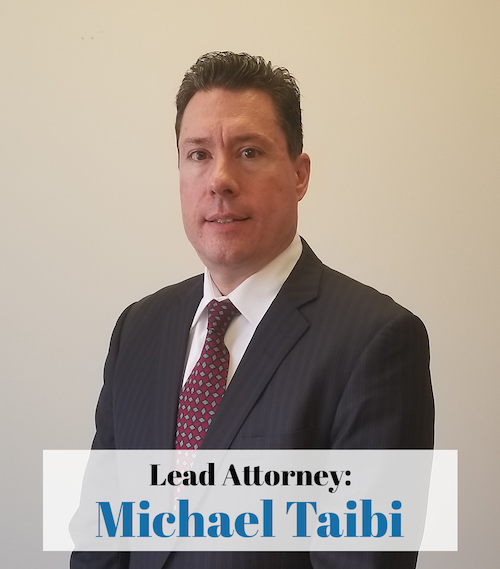 This is also the time our staff to gather important information in each individual’s case and providing our attorneys with the information to determine what their exposure is. Each criminal case can affect each person differently with regards to such things as their job, security clearance, school applications, background checks, live-scans, possessing firearms, and professional licensing. It is very important to understand what each individual client’s needs and goals are before determining if we can accept their case. This is why our law firm takes the time to individually sit down with each client to offer them a free consultation and afterwards give them direction, and a strategy that will help to achieve the best possible outcome. During the initial consultation our staff will gather important information and present your case to the attorney to determine if the attorney can accept your case. Often times after your consultation, we give our clients a step-by-step program that we want them to follow while their case is going through the court. This is why we feel that having the initial consultation with our staff is the only way to clearly communicate your questions and concerns. We discourage anybody from discussing their case over the telephone, or by meeting someone at a coffee shop or restaurant. We want you to come into our office and meet the people and take the time to get to learn about us as much as we want to learn about you. At SDCA, we don’t just claim to care about your case. We show you our dedication through our action. Unlike other firms where attorneys work 9 to 5, our attorneys are available 24-7 to clients. Each client will have our attorneys’ personal cellphone number and private email address, and our attorneys will be available at all times to help you with your case. We understand that clients may run into issues outside of the typical 9 to 5, and we strive to accommodate clients at all times..
We are confident that our demonstrated dedication is unmatched. So much so, that we would tell you this: if you can find another firm with criminal defense experience, willing to work 24-7, then hire them! You won’t, because our commitment is truly one-of-a-kind..
Over the years our attorneys have represented individuals facing criminal charges. From simple misdemeanors to serious felonies, from solo defendants to complex white collar multi-defendant cases, we have provided the highest caliber of criminal defense representation to our clients in San Diego. Through these cases we have earned the respect and trust of judges, prosecutors, and other legal professionals. Our reputation starts with our integrity; we litigate all of our cases with professionalism. That is, we will be courteous, but firm. We will negotiate faithfully, but never back down against our clients’ interest. Our integrity is a key element of our success: other criminal justice professionals in San Diego have come to recognize us for our professionalism and zeal. They know that we mean business every time we step into court. A common mistake other firms make is that they value professionalism and efficiency over a zealous defense. This may be because they don’t want to irritate the prosecutor or the judge, or perhaps because they simply don’t want to dedicate the time and energy to zealously defend a case. While these attorneys are courteous and friendly, they actually are often ineffective. Think about it this way: if prosecutors and judges know they can push you around, why would they negotiate earnestly? We understand this phenomenon, which is why we strive to combine professionalism with unrelenting zeal. This way, opposing parties come to not only like us, but in fact RESPECT us. We will be professional, but our professionalism will NEVER come at the cost of our clients’ interest. Our perspective and understanding of these dueling interests is the foundation to our success. A success demonstrated over the course of many years. A success illustrated in our 98.77% client satisfaction rating. One of the most common traps for clients seeking criminal defense representation are “law mills.” As the name suggests, these are firms that retain clients aggressively, but do not work the cases with that same aggression. This is truly an epidemic in busy judicial counties, where firms will retain clients, only to hire “appearances lawyers” to do all the work. In severe cases, some firms will retain clients only to delegate the ENTIRE CASE to some unknown attorney! Here at SDCA, we reject this unethical practice known as the “law mill.” Instead, we invested significant time and energy to put together a team of trustworthy attorneys to handle our caseload. We handle all of our cases personally and internally!!! You can click on the “meet the team” tab on our homepage right now, and see our entire team. You can rest assured that only attorneys listed on that page will ever touch your file. This is a promise from us to you. You’ve Been Arrested, What Happens Next? Here at the San Diego Criminal Attorney, we understand that it is both frightening, and confusing, when you hear, and feel, the handcuffs close around your wrists. It is natural to wonder, “What happens next?” From this point forward, every single thing you do, and say, could have a far reaching impact on the outcome of your case. It is for this reason that is essential to get in contact with one of our experienced criminal defense attorneys before you do, or say, anything else. Every stage of the process you are now involved in presents an opportunity for your attorney to advocate for you, to expose the flaws in the District Attorney’s case against you, to ensure that your Constitutional rights are respected, and much more. The difference between a skilled attorney from SDCA, and a run-of-the-mill attorney from elsewhere could very-well-be the difference between an acquittal and a guilty verdict. While there is much more to the legal process than this post will cover, this post will familiarize you with the 1) The Arraignment Process, 2) Preliminary Hearing Process; and 3) Felony Sentencing. Having competent, diligent, and effective assistance from an attorney throughout the entire ordeal is an essential component of obtaining a favorable outcome. It is important to note that the process varies depending on the nature of the charge(s) against you: felony, misdemeanor, or domestic violence. While it is unfortunate that the case against has progressed so far, it is not the end by any means. This is where the truly exceptional attorneys separate themselves from the average attorney. At SDCA, the only attorneys we hire are the truly exceptional attorneys. In the Preliminary Hearing, the magistrate overseeing the process generally conducts what is called a “probable cause hearing.” This is where the District Attorney presents their evidence against you, and attempts to convince the magistrate that a crime was committed, and that you are the person who committed that crime. If the magistrate is satisfied, then you are “held to answer”, if the magistrate is not satisfied, the case against you is discharged and you go home a free man, or woman. More often than not, you are “held to answer.” This is where your SDCA attorney truly shines. At this point, you are entitled to receive all evidence the District Attorney has that is the basis of their belief that you committed the crime you are accused of, as well as all information that has a tendency to show that you did not commit the crime you are accused of. It is critical that you have a skilled attorney, who is willing to fight for your Constitutional rights. Some District Attorneys have different opinions about what falls under the information you are entitled for. Your SDCA attorney will relentlessly pursue the District Attorney for any, and all, evidence pointing to you innocence; it is your right to have that information. Using that information, your SDCA attorney will hand-craft a defense against the charges against you, and vigorously advocate for you. The preliminary Hearing is a mini-trial or sorts, and sets the stage for your jury trial. A skilled attorney will set the future stage favorably for you by fighting to keep improper evidence out of the case, challenging witnesses who may not be telling the whole truth, forcing those witnesses into a corner so they cannot sing a different tune at trial, and many other seemingly small things, that have a profound impact on a future trial. At the Preliminary Hearing, the District Attorney will present the witnesses who claim to have information that shows you committed the crime you are accused of. Again, truly exceptional attorneys shine here. After the witness has given their testimony, or what they observed, your SDCA attorney will have the opportunity to conduct something called “cross-examination.” This is where the attorney tests the testimony of the witness, calling every detail into question and investigating it as if it were under a microscope. The truly great attorneys are able to poke holes in testimony, highlighting the flaws of the witness’s testimony, and tying it together with your defense. Exceptional cross-examination can, and does, win cases. Your SDCA attorney has trained extensively to master the art of cross-examination. At the conclusion of the Preliminary Hearing, the magistrate will make a determination of whether or not there is enough evidence to require you to go forward with a jury trial. In coming to a conclusion, the Magistrate weighs the evidence, resolves conflicts, and assesses credibility. This is why skilled representation at the Preliminary Hearing is so critical; a skilled attorney will identify the best witnesses, and ask the right questions, bolster the strongest evidence in your favor, and cripple any evidence against you, a skilled attorney from SDCA will allow you to walk out of the Courthouse a free man, or woman. If somehow, the magistrate finds that there is enough evidence against you, the magistrate will set a date for trial. The trial process is beyond the scope of this post, but skilled representation throughout the trial itself will have a lasting impact on a worst-case scenario outcome; the jury has found you guilty. The arraignment process is formal hearings where you are told what the charges against you are, bail will be set, and you are provided an opportunity to plead “guilty”, or “not guilty.” While this is not the time to argue you case, having an attorney at this point can have far reaching benefits – beyond protecting your Constitutional rights. The time between the filing of the “Complaint” and the arraignment depends on whether or not you are still in custody at the time the “Complaint” is issued. If you are in custody when the “Complaint” is issued, your arraignment must occur without unnecessary delay, this means no later than 48 hours after your arrest. If you are not in custody when the “Complaint” is issued, the term “unnecessary delay” is less clearly defined. Having an experienced attorney from SDCA involved in this process can prove beneficial to you in many ways. There are consequences for failing to provide an arraignment in a timely fashion. A skilled attorney can identify the failure, and enforce the rules associated with that failure. For example, confessions obtained as the result of an unlawful detention, may be suppressed. An unreasonable delay could serve as the basis for a law suit against the arresting officer. After you have pled “not guilty”, the Court will set a date for what it known as a “preliminary hearing.” It is at this stage of the process that an experienced attorney is critical; at this point of the process, your attorney begins uncovering the District Attorney’s basis for believing you have committed the crime you have been charged with. Your SDCA attorney will be present with you, fighting for your rights, and freedom, the entire time. Once arrested, the District Attorney (or in some cases the City Attorney) must decide whether to pursue formal criminal charges against you. The District Attorney accomplishes this by issuing a “Complaint”, which formally details the nature of the charges against you. Contrary to popular belief, the District Attorney does not want to pursue every person who has been arrested; they want to pursue people where the facts suggest that the individual actually committed the crime they were arrested for. This decision is usually based on the information the District Attorney received from the police officers who arrested you. Police officers don’t usually include information that would lead the District Attorney to believe that you are not the person they are looking for or more importantly specific facts that may incline them to reject the complaint. Having competent, and diligent, representation from the moment you are arrested will allow your SDCA attorney to meet with the District Attorney before a Complaint is issued, and allow the District Attorney to see the facts, and arguments, that show you didn’t do what you are accused of; stopping the process before any further action takes place. This is one of many examples of why it is necessary to have competent counsel through all phases of this ordeal. If however, the District Attorney files the “Complaint”, then you will be entitled to an arraignment. You Have Been Found Guilty: What Consequences Do You Face, And How Can You Make It Less Severe? Sometimes even the best attorneys can’t win the case. That does not mean the attorney’s efforts were worthless. As a result of their skilled maneuvers, certain evidence is not present, the judge and jury know it’s not as bad as it looks, they know you’re a good person with ties to the community. In short, the judge and jury know that if there was ever an opportunity to exercise leniency, it’s right now; that’s what an expert defense attorney brings to the table when all else has failed. That is what an attorney from SDCA brings to the table. Call San Diego Criminal Attorney Today for A Free Consultation At 619-880-5474. Our Award-Winning Lawyers Serve Clients in San Diego, North County San Diego and Other Communities In The San Diego County Region.